To the outside eye, the funding process for social change projects must resemble the job of a used car salesperson. While not cars on a lot, the communities with which we work have defined a whole spectrum of initiatives that would help them to solve their most pressing problems, and these projects often range in scope, theme, and purpose. Within certain limitations (and effective NGOs know what those are), the donor can drive the conversation because it is highly likely that their interests can be met with an initiative. Perhaps this funding structure is one way that social change projects set themselves apart from traditional “transactional” NGOs focused on delivering one service or product (i.e. micro-loans, mosquito nets, technology). (I have written about transactional vs. transformational “development” here.) If you consider society as a vibrant, hand-woven piece of fabric, each element of a society—its politics and power structure, economics, geography, culture, class and race dynamics, gender roles, etc. – are woven together into a resilient textile. Effective social change means more than just pulling out one of these strands, but rather reorganizing the layout of color so that an entirely different textile results. The only way to permanently end poverty is to change the society that allows it to persist. The needs of small social change organizations and the interests of funders are moving farther and farther apart, perhaps jeopardizing exactly the social change that we hope will decrease global poverty rates. The Collaborative Learning Project based in Cambridge, Massachusetts, has been a leader in promoting dialogue with recipients of aid around the world. Their “Listening Project” engaged nearly 6,000 people in discussions about issues that local people believe need to be addressed to make aid more effective. If you think about the ubiquitous “logic model” tool, our culture can be defined as strongly focused on linear relationships and clear outcomes. We tend to believe that one shift in a poor society’s culture can lead to a domino effect of change. (The Asian Development Bank published an interesting article about “complexity theory” within development, urging practitioners to reconsider “command and control” approaches to poverty alleviation.) 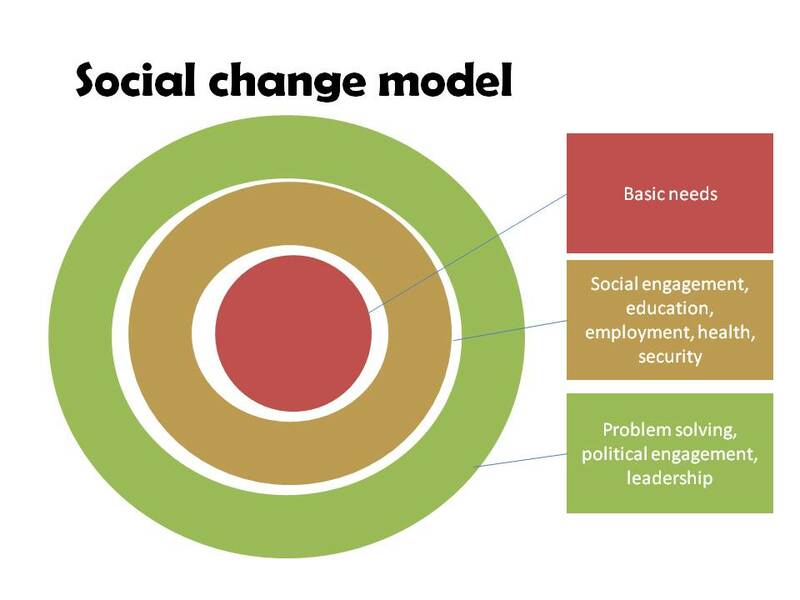 As funders become increasingly concerned about evaluation, it is easier to measure the effect of one change rather than measuring change caused by a whole range of variables shifting through multi-dimensional social change work. Projectitis, however, is getting in the way of local leaders receiving the general operating support that they need for their holistic, interconnected approaches to poverty alleviation. It is increasing their reliance on outside partners who can manage of all this, not giving them more ownership and sense of control. Most NGO leaders were hopeful that the onslaught of social media tools would help them to reach new audiences and expand their funding base. The first half of this has certainly happened. Facebook, Twitter, etc. have allowed NGOs to create followings of people around the world, extending our communities to people beyond our direct vicinity. On the funding side, however, The Chronicle of Philanthropy reports that most non-profits have reported very little money raised through social media. I have been repeatedly stumped by the anemic results of Facebook Cause campaigns conducted by different small non-profits with which I have worked. Social media tools have led to projectitis on steroids with new sites launched weekly to help connect projects with people able to support them. Web Advantage recently posted links to 30+ social media sites that promote “social giving.” I was elated to find such a comprehensive list of virtual venues on which to post my basket of important initiatives. The problem? Most invite us to use members within our existing community to promote projects to their social networks. (We were already doing that.) Some of them cost money to join, a risky investment for small NGOs just finding their way with social giving. And managing these on-line micro-solicitations for funding adds another whole layer of administration on small NGOs. It seems like the old rules of relationship-building still apply within this new virtual world. I was talking this week with the development officer of a leading local mid-size non-profit, and she noted that she recently realized that she was not managing a single general operating grant. With the exception of a small percentage of funds coming from individuals, all of her funding was for defined projects. This reality leaves little leverage for exciting initiatives that come at the margins of these projects. Non-profits in general have less and less leeway to be nimble in response to changing conditions, as well as a decreasing ability to invest in organizational capacity building, holistic evaluation of their work, and cross-thematic initiatives. It is hard to fundamentally change a hand-woven textile if you can only reweave a few of the strands. 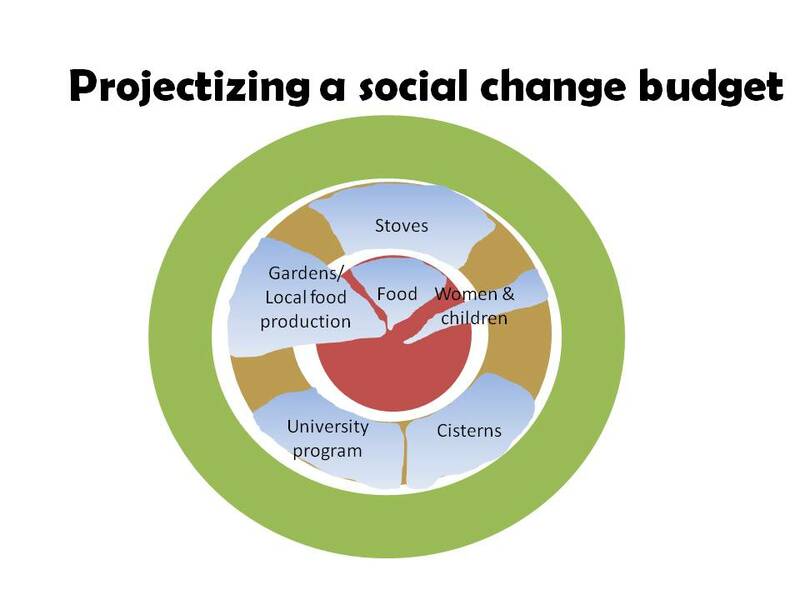 Slide 2: Projectizing social change work. The challenge is to fill in the gaps between projects. This entry was posted in aid, grantmakers/funders, local leaders. Bookmark the permalink.